Dependency Injection (DI) is a software design pattern that allows us to develop loosely coupled code. DI is a great way to reduce tight coupling between software components. DI also enables us to better manage future changes and other complexity in our software. The purpose of DI is to make code maintainable. For example, Suppose your Client class needs to use two service classes, then the best you can do is to make your Client class aware of abstraction i.e. 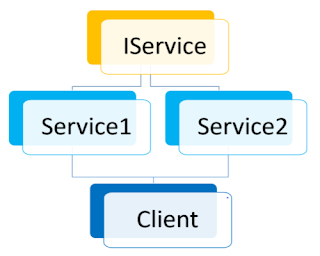 IService interface rather than implementation i.e. Service1 and Service2 classes. 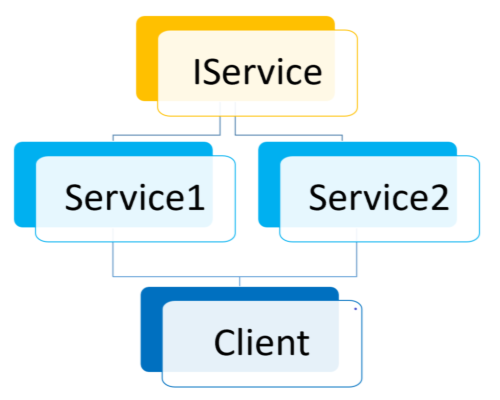 In this way, you can change the implementation of the IService interface at any time (and for how many times you want) without changing the client class code. 1. This is the widely used way to implement DI. 2. Dependency Injection is done by supplying the DEPENDENCY through the class’s constructor when creating the instance of that class. 3. Injected component can be used anywhere within the class. 4. Recommended to use when the injected dependency, you are using across the class methods. 5. It addresses the most common scenario where a class requires one or more dependencies. 1. Recommended to use when a class has optional dependencies, or where the implementations may need to be swapped. 2. Different logger implementations could be used in this way. 3. Does not required the creation of new object or modifying the existing one. Without changing the object state, it could work. 1. Inject the dependency into a single method and generally for the use of that method. 2. It could be useful, where the whole class does not need the dependency, only one method having that dependency. 3. This is way is rarely used.